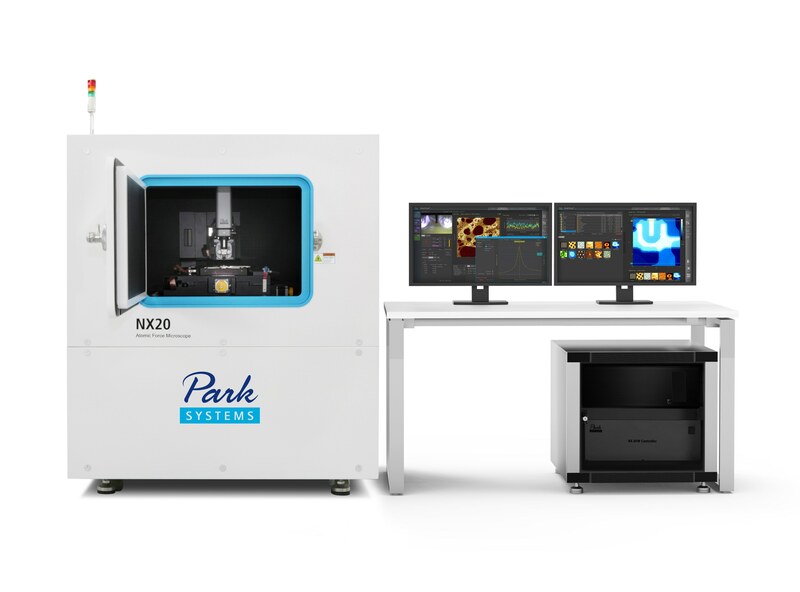 Park Systems, world leading manufacturer of Atomic Force Microscope today announced NX20 300mm, the only AFM on the market capable of scanning the entire sample area of 300mm wafers using a 300mm vacuum chuck while keeping the system noise level below 0.5angstrom (Å) RMS. Park NX20 300mm enables AFM inspection and scans over the entire sample area of 300mm wafers by using a full 300mm x 300mm motorized XY stage so the system can access any location on a 300mm wafer. Parks NX20 300 mm is the only product that can hold a 300mm sample unlike current products on the market, for example the competitor’s system that come closest to Park is combined with 300mm sample chuck but requires the user to load 9 times to access the entire 300mm wafer area because the range of the motorized XY stage is limited to 180mm x 220mm. The Park NX20 300mm system is run by SmartScanTM, Park's new operating software with automatic scan control and comes with the "Batch Mode" functionality where the users can perform recipe-automated, unlimited number of sequential multiple-site measurements over the 300 mm x 300 mm area.The automated measurements over a 300 mm wafer dramatically improve the user-convenience and productivity in an industrial lab where a comparison among site-to-site and sample-to-sample surface morphologies, e.g. height, surface roughness, etc., is important. 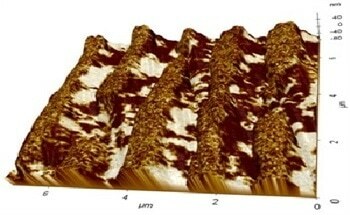 Today large samples of up to 300mm wafers and substrates are widely used for process development, failure analysis, and production but so far there has not been an AFM measurement tool that can accurately measure all samples simultaneously. The new Park NX20 is the perfect solution for shared labs whose samples come in various sizes--small and large—as it supports from large to small coupon samples and is compatible with all the modes and options available to Park's other research AFM products. Park NX20 300mm standard vacuum chuck is designed to hold samples ranging in size from 300mm to 100mm, and can even support small coupon samples of arbitrary shapes using a vacuum hole. Products on the market now are limited to 200mm sample sizes and must rely on cutting up the sample to maintain the low noise required by industry, which is cumbersome and makes sharing the AFM challenging. Park NX20 300mm is another demonstration of Park Systems’s ability to innovate products demanded in today’s fast-growing semiconductor industry where status quo will not suffice in this new era of nanotechnology advances. Since 1997, Park Systems has added significant innovations to their original AFM design to revolutionize imaging methodologies and enhance the user experience, resulting in their unbridled success. 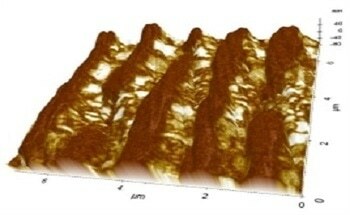 Park Systems holds 32 patents related to AFM technology, including True Non-Contact Mode™ using decoupled XY and Z scanners, PTR measurements of HDD application, NX-Bio technology using Scanning ion conductance microscopy (SICM) on live cell, 3D AFM, Full automation AFM operation software (SmartScan™). 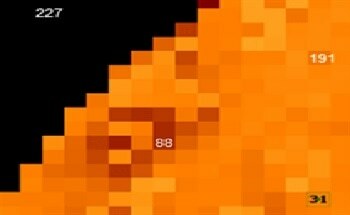 SmartScan fully automatizes AFM imaging making it very easy for anyone to take an image of a sample at nanoscale resolution and clarity comparable to one taken by an expert. Park Systems has a full range of AFM systems that provide solutions for researchers and industry engineers across a wide spectrum of disciplines including chemistry, materials, physics, life sciences, semiconductor and data storage. Used by thousands of the most distinguished academic and research institutions worldwide, Park is recognized as an innovate partner in nanoscale technologies.